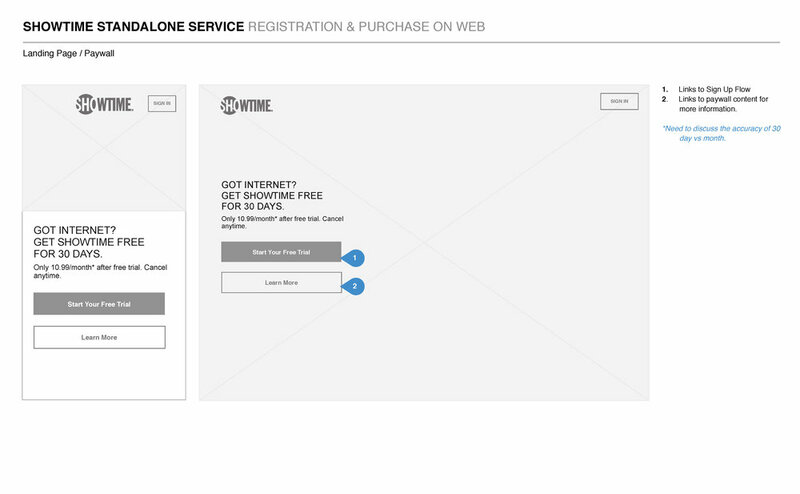 Optimizing registration and checkout for Showtime direct-to-consumer subscription sales. 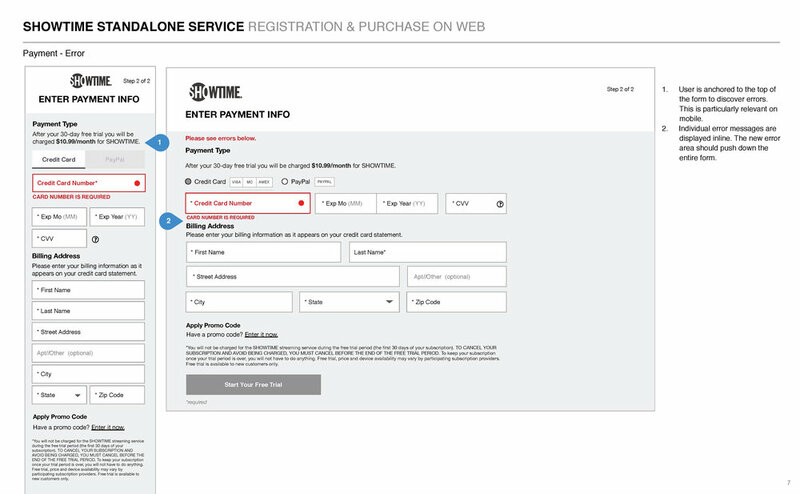 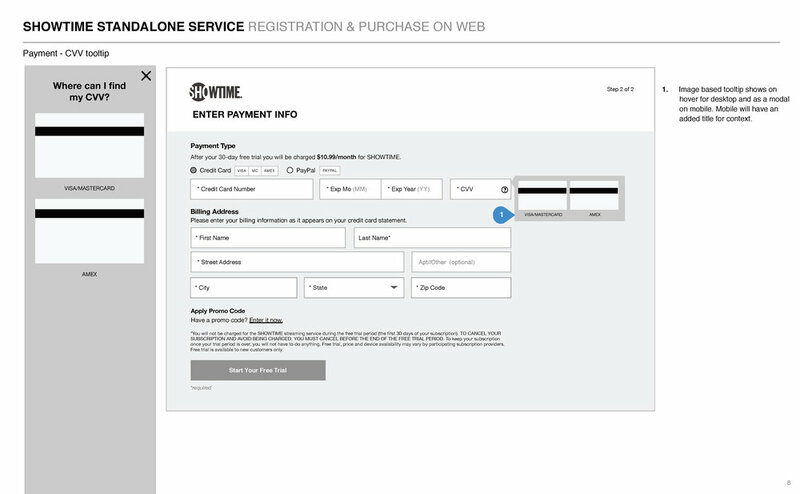 Lead UX Designer for the registration and payment flow allowing users to pay directly by credit card for SHOWTIME. 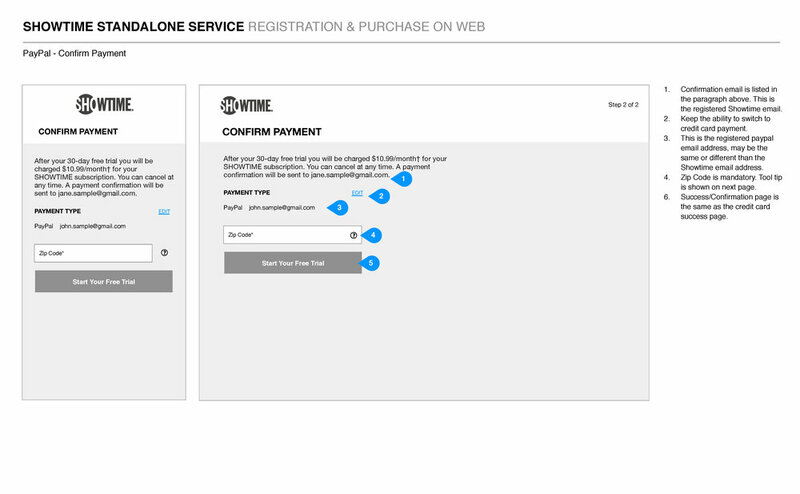 Designed a responsive registration and purchase flow to maximize signups. 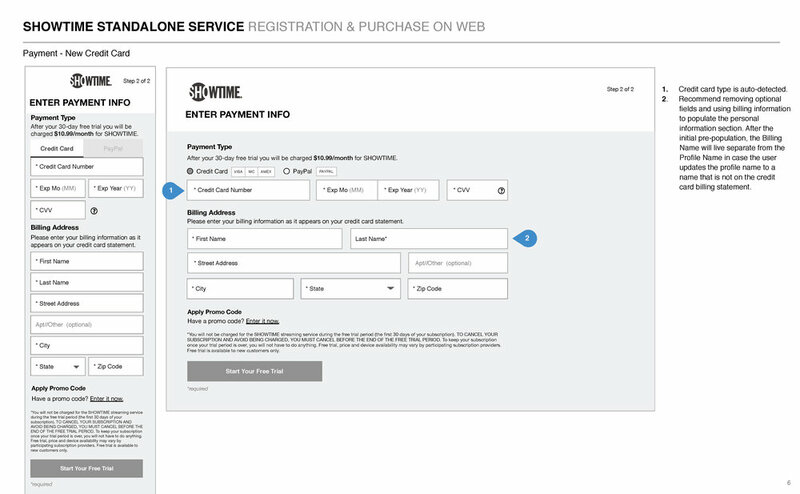 Features include: Ability to accept and save payments and recurring subscriptions with a free trial.